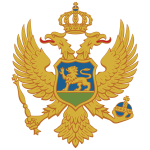 Government of Montenegro announced the launch of its citizenship by investment programme in summer 2018 as a second attempt to offer foreign nationals its passport in return for their contribution to the country’s development. The Special Investment Program applications will be accepted at the beginning of 2019. The number of applicants that will be granted a Montenegrin passport is capped at 2,000 for the next three years. The citizenship program is planned to run till the end of 2021. The application process has been made more transparent to avoid the situation of 2010. Then the investment program was closed after the international community criticised the government of Montenegro for issuing passports to applicants involved in corruption and fraud. Foreign direct investments from non-EU countries are expected to push the economy forward, create jobs and improve quality of life for the citizens of Montenegro. Sectors of the economy that are targeted in the first place are tourism, agriculture and processing. However, development projects will be implemented in other areas as well. Although Montenegro is not yet in the European Union, the process is underway to join the EU in six years. Besides, it joined NATO in 2017 which guarantees social security and political stability. Visa-free travel to 117 countries. Citizenship is passed by descent. Place of irresistible and breath-taking natural beauty. To become eligible for citizenship by naturalisation, foreign investors have to satisfy certain financial and other criteria. Applicants must have clean criminal record, have no breaches of international laws, be of good character, in good health and provide funds from a legal source. Personal and business reputation is a key factor as well. Main applicant must be at least 18 years old. Eligible dependants include spouse, children up to 26 years of age and parents over 65 years old. All investors applying to get a Montenegrin passport are required to make a one-off non-refundable donation of €100,000 to the national fund in the form of the Government fee. €250,000 if a development project is located in the underdeveloped areas of Montenegro, namely in the northern and central regions of the country. €450,000 if a project will be launched in the coastal regions of Montenegro and Podgorica, which are developed areas. €5 or €15 million investments in tourism or hotel projects with creation of jobs. To apply under the Montenegro’s citizenship program, the main applicant must pay an application fee of €15,000 if applying alone. Additional €10,000 are charged for a maximum of 4 family members, and each extra dependant costs €50,000. Due diligence and passport fees apply. Although the investment amount is much less than under the citizenship program, €100,000, passport can only be granted after 10 years of permanent residence and lawfully living in Montenegro. Money must be invested in real estate, business or science projects. The application procedure is efficient and transparent. Subject to compliance with all requirements, you and your family will get passport in 6 months. Step 1: Book an appointment with our specialists and sign a client agreement. Step 2: Get permanent residence in 3 weeks. Step 3: Pass background checks. Step 5: Get your Montenegro’s passport. Montenegro, pearl of the Balkans on the Adriatic Sea. Country’s turbulent history saw it under the rule of Byzantine and Ottoman Empires, as independent kingdom and then again as part of Yugoslavia and later State Union of Serbia and Montenegro. In 2006, the country voted for independence from Serbia and gained it by required majority. Montenegro is in transition to market economy, mainly service-based. The country preserved its ecological diversity and beauty due to late arrival of industrialisation and ironically the numerous wars interrupting the course of industrial revolution. Currently, and mainly due to direct foreign investments, Montenegro is experiencing boom is tourism and real estate sectors. At the same time reliance on capital inflows from abroad makes it vulnerable. Head of state: president Milo Đukanović. Government: unitary parliamentary constitutional republic. Membership: NATO, UN, WTO, OSCE, Council of Europe, etc. Terrain: very varied including high peaks, coastal plains, canyons, bays and lakes. Old towns and city walls. Mountain peaks and breath-taking bays. Diverse and rich cuisine and wines. As part of the plan to join EU, the government of Montenegro is creating environment for private sector development. It should help to reduce public spending and subsequently public debt. Tourism plays a major role in the overall development of Montenegro. It accounts for around 20% of GDP and employs a large portion of population. Energy sector relies mainly on hydro- and thermal power. Steel, bauxite and aluminium production are of high importance as well. Despite limited availability of arable land, agriculture has played a dominant role, especially in the middle of 20thcentury. Forestry is also important due to vast areas of woodland.